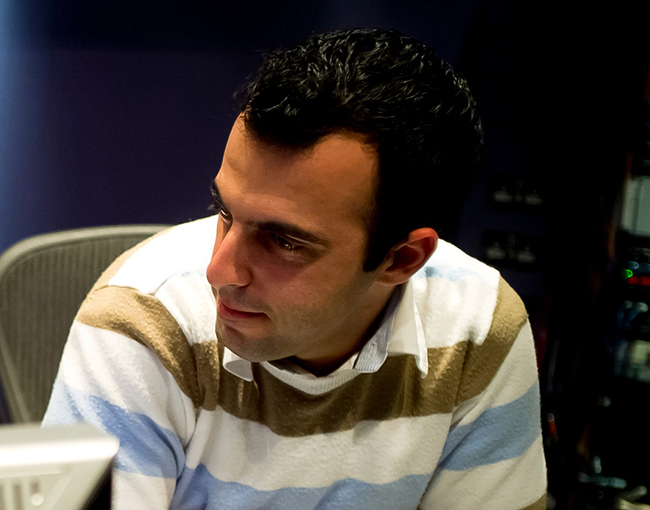 Christos is a London based Film and TV composer who has composed music and collaborated on an array of international Film, TV as well as various other projects. He has composed additional music for many German TV productions amongst others "Rosamunde Pilcher" (ZDF), "Vancouver Bay" (ARD), "The Ethiopian" (ARD), "Inga Lindström" (ZDF) and "Herzensbrecher" (ZDF) alongside the main and award-winning composer Andreas Weidinger. His music has been featured on Prime Time shows on CNN, BBC, ITV, Channel 4, Sky Sports, HBO, CNBC, ABC, History, Discovery Channel and many others. He has composed music for many advertising campaigns including MINI (John Cooper Words), Charles Schwab, Barclays, BirdsEye / Iglo and many more. In 2017, in which CyBC was celebrating its 60th anniversary of its founding, he had the honour to compose the new CyBC (Cyprus Broadcasting Corporation) TV Idents for both CyBC Channel 1 and Channel 2. He is extremely passionate about working with upcoming directors and has composed the music for various films the latest of which being the short film "Positive Action" which is available on Amazon Prime Video. His score for "Barzakh" was nominated for "Best Original Score" at Corona Fastnet Film Festival 2013. He has also composed the music for Eleven Fifty [11:50] which was awarded the 2nd prize at the "Cyprus Short Film Festival 2012" and the music for "Meat me in Plainville" which won the "Best Horror Film Award" at the 12th Annual Coney Island Film Festival 2012. He has also written music for theatre, in collaboration with various Theatres in Cyprus, and other media & multimedia projects.